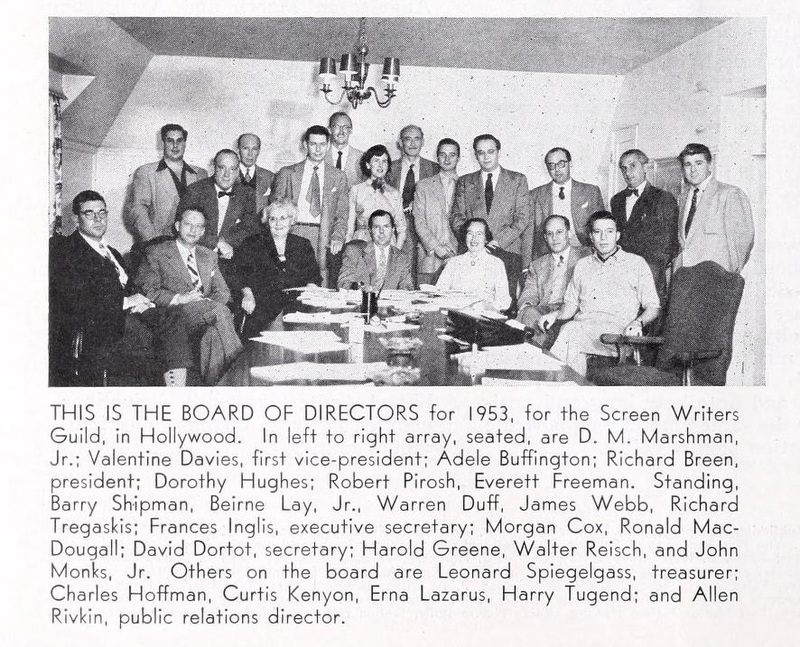 This item from the Motion Picture Herald gives us a glimpse of two of the serial genre’s best writers–Barry Shipman, who contributed to many Golden Age Republic outings, and Morgan Cox, who wrote for many of the same Republics and later produced most of Universal’s later serials. Shipman is standing on the far left, and Cox is the elderly gentleman with the bald head and the moustache standing at the back, roughly in the center of the picture. Shipman lived long enough to be interviewed for a documentary on serials, but to the best of my knowledge this is the first time an image of Cox has surfaced in fan circles. It’s interesting to see these serial stalwarts hobnobbing with some “big” feature-film screenwriting names, such as Valentine Davies (who wrote Miracle on 34th Street) and Robert Pirosh (who wrote the Oscar-winning screenplay Battleground). The picture can be enlarged further with a click. This entry was tagged Republic serials, Serial scrapbook, serial-makers, Universal serials. Bookmark the permalink. Nice to see some background of the serials. They were made so fast it’s surprising anyone had time to stand still for a pic. Keep em coming. This compensates for the recent Republic Pictures book I bought that was very sloppily done. Someone forgot to do there research. Hope all goes well for you on the way to that law degree.